Venezuelan state-owned PDVSA is seeking to extend the contracts of three petroleum tankers, and hire five additional tankers, to compensate for the loss of vessels due to US sanctions, according to sources and PDVSA reports. “PDVSA requires as soon as possible three vessels for LPG, two Aframaxes, two Panamaxes and one long-range [LR1] vessel,” an official of PDV Marina, a PDVSA shipping company, told S&P Global Platts on condition of anonymity. While PDVSA is not able to work with some shipowners because of sanctions, “we will continue working with those who take risks despite the US sanctions,” the official added. On January 28, the US unveiled sweeping sanctions on PDVSA, imposing an immediate ban on US exports of oil to Venezuela and setting up a de facto ban on US imports of Venezuela crude. The US has also announced that transactions between non-US companies and PDVSA that involve the US financial system or US commodity brokers would be prohibited after April 28. Earlier this month, PDVSA requested the owner of the vessel MT Queen Zenovia to extend the contract for one year. The Queen Zenovia is the only LPG vessel in service, of a total of four, for cabotage between Venezuelan refineries and maritime terminals for distribution in the domestic market, according to an internal report seen by Platts. The one-year contract expires August 2019, and requires PDVSA to request an additional year six months in advance. 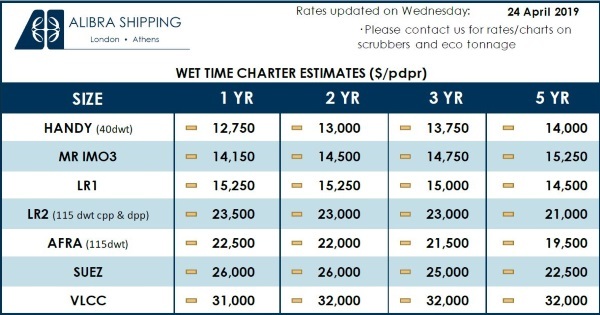 The status of the other three vessels to transport LPG is as follows, according to the report. The owners of the Irmgard Schulte are waiting for confirmation of Protection and Indemnity Insurance to continue with PDVSA due to the sanctions. Navigator ships Virgo and Navigator Taurus await the authorization of the Office of Foreign Assets Control to carry out commercial operations with PDVSA. PDVSA is also seeking to re-hire for an additional year, with the Venezuelan flag, the Panamax Felicity and Ice Energy tankers. Both vessels, contracted by PDVSA in 2015, were used to transport petroleum between the Venezuelan refining system and for storage abroad. Contracts for the ships expire in November 2019. Both ships are managed by Dynacom Tankers Management, according to cFlow, Platts trade-flow software. In November, PDVSA delivered the ship Felicity to its owner, which maintains a claim for the payment of overdue debts of $3.4 million. However, at the end of January, at the request of PDVSA, Felicity returned to Venezuela to transport a cargo of diluent between the Amuay and Cardon refineries. According to the report, on February 1, PDVSA decreed partial force majeure for current contracts with companies that maintain operations in the North American market. “The sanctions have increased the cost of freight to Venezuela, placing PDVSA in an unfavorable and weak negotiating position,” the report says. PDVSA has also requested the owner of the vessel Ice Energy to sign a new contract for a period of one year. In November, PDVSA tried to hire this vessel, but the shipowner refused, also claiming debts due for $3.4 million. PDVSA also decided to tender in the international market the contracting of a Long Range 1 tanker in time charter for a period of one year, with an option to renew for a year. PDVSA had 11 LR1s in operation for shipping refined products, but after the US sanctions, the fleet lost five LR1s. According to the report, four vessels — Samba, Balos, Horizon Theoni and St. James — finalized their contracts unilaterally by their owners, while the Tajin sailed from Venezuelan territory on the instructions of its owners, but without finalizing the contract. According to cFlow data, the four vessels were active in Venezuela as far back as 2015, with the Horizon Theoni seen calling at Venezuelan ports or storage terminals in the area, such as Willemstad. The Balos was active in Venezuelan ports from October 2017 to February 2019, leaving St. Croix February 18 for the US Gulf Coast. The St. James is currently en route to Amsterdam-Rotterdam-Antwerp, according to cFlow data, having left from Willemstad March 10 after having been active in Venezuelan ports since October 2017. The Samba, an intermediate tanker with a dead weight tonnage of less than 20,000 mt, is currently en route to Galveston, according to cFlow data, having sailed from Panama in early March. The Samba was active in Venezuelan ports from March 2015 to February 2019. The Balos and Horizon Theoni were seen active in the Americas Medium Range spot market in the past two months, according to shipping sources and Platts data. On February 20, the Balos was heard on subjects to load in the US Gulf Coast, and on February 21, shipping sources said the Balos had failed on subjects for Shell, having been booked for a Caribbean-US Atlantic Coast voyage with an intended February 21-22 laycan. On March 21, the Horizon Theoni was heard on subjects out of the US Gulf Coast for an unknown charterer. PDVSA is also opening a tender to contract two Aframax vessels in time charter for a period of one year, with an option to renew for a year. “The hiring of two vessels will not be enough, because to guarantee supply operations to the national refining system, supply fuels for the generation of electricity and commercial commitments with international clients in ship to ship operations, PDVSA requires 16 Aframax vessels and only has operative nine,” the report says. Of the nine vessels available, seven (Hero, Parnassus, Zeus, Eos, Nereo, Proteo and Tamanaco) are awaiting maintenance. Another non-operational Aframax is the Icaro, currently anchored at the terminal of the Amuay refinery in Venezuela. Icaro was held in Curacao for PDVSA’s debts. On Friday, a Court of First Instance of Curacao lifted the seizure that was imposed in February 2019. Since the announcement of the US sanctions on PDVSA, activity on the Americas clean tanker market discharging or loading in Venezuela has come to a halt, with shipowners reticent to call to port due to infrastructure and legal concerns. Americas clean tanker market participants have seen no US-origin products moving into Venezuela since the implementation of the sanctions, though two Torm vessels have carried clean petroleum products into Venezuela from the Bahamas. 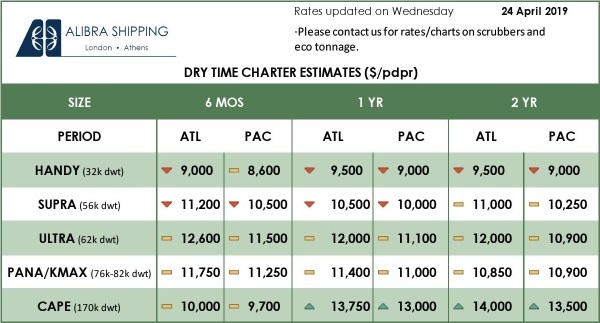 Shipping sources in the Americas have said that fixtures involving discharge or load in Venezuela would hold a premium to fixtures calling in non-Venezuelan Caribbean ports.